In this week’s episode, Jackey and Laura chat about their latest adventure … taking on Beachbody’s new Liift4 program together! Please note: We are not Beachbody representatives, this is not a paid promotion nor are we qualified to give training advice. We’re just two gals trying to get healthy and fit! To read Laura’s previous Beachbody blog posts, click on the link below. Thanks for listening and have a joyful day! 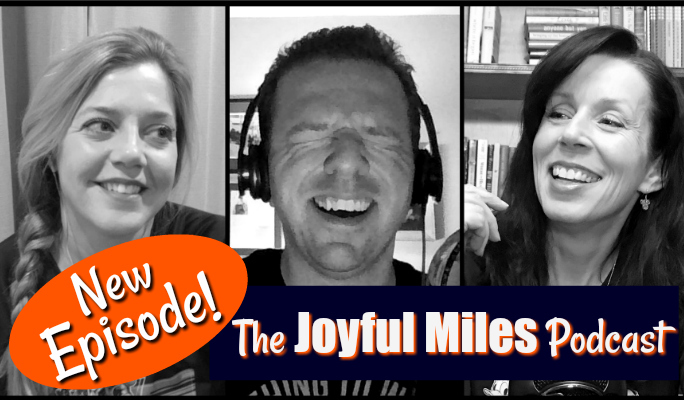 Content presented on the Joyful Miles Podcast and other sites is for general information and entertainment purposes only and is not intended to replace your healthcare professional. Before beginning any exercise program, always consult your physician. Previous post: Podcast Episode 55: Our First Marathon – A Goofy Tale!